How many frames were these? There looks to be quite a bit of noise in them. Perhaps try for a bigger stack? I think they look OK for “first light” pictures though. What camera is it? 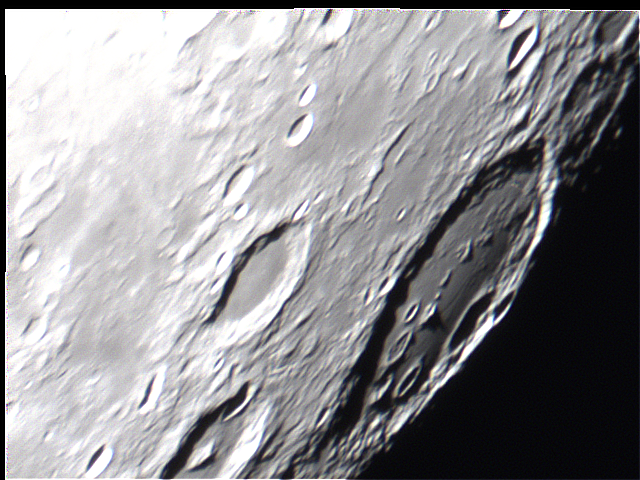 Have you got the telescope itself well collimated? What focuser are you using? The built in one or have you attached a crayford on the back? The built in one on mine causes all sorts of problems – I get mirror flop every time I move it so it knocks the collimation and focus out. But they might have fixed that problem on the better models…? Hi Chris, the telescope looks well collimated as far as I can see just from looking at the concentric rings when out of focus. This stack was about 100 I think. I think a bigger stack wouldn’t really help but I could be wrong. We have not taken delivery of the digital focuser yet, that arrives next week. We’ve never seen collimation off in terms of concentric rings going obviously non-concentric. We are just using a skyris 618c for this one. I think it’s difficult for you to comprehend how bad the seeing is close to the horizon. 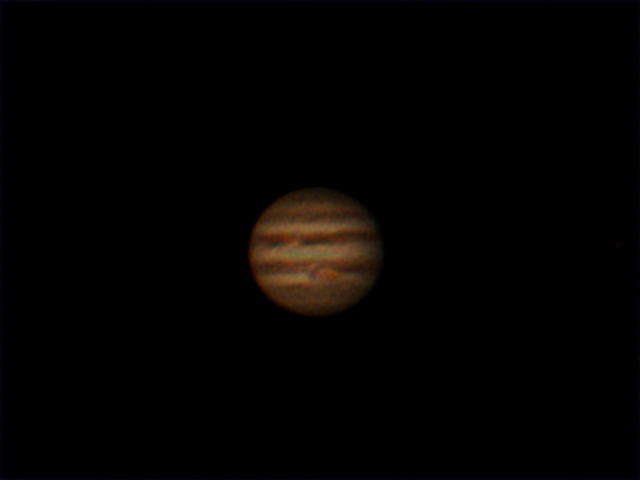 We will try a bigger stack and different exposures when Jupiter is higher. 100 frames? I run 14000 frame capture then use the best 10-20%. Come along to a BSIA meeting in Regents park. jupiter is rotating, how to you manage to avoid that screwing up your 14000 images? The imager has a max fps of around 200. WinJUPOS can be use for derotation.